Posted by & filed under Information and Tools. There are few chores in life quite as frustrating as washing. It’s a clumsy, smelly endeavour that requires endless shuttling back and forth, expensive chemicals and plenty of lost socks. It can be pretty expensive too, especially when you’re operating a drying machine to get your clothes back to a wearable state. But there is another way. No, it won’t help you keep your loose socks together, but it will help keep the cost of your drying down. We speak, of course, about washing lines. Simple, versatile and endlessly reusable, washing lines help you harness the suns natural energy to dry your clothes endlessly. When it comes to washing lines though, there’s one name which stands out above the rest – Hills. Founded in Adelaide, Australia, by Lance Hill in the mid-1940s, Hills has over 70 years’ experience designing and manufacturing “the world’s finest washing lines”. In fact, they’re so confident of their craftsmanship they offer a 10-year warranty on all defects in their products. At MAD4TOOLS, we’re proud to offer the full range of Hills washing lines at prices which make them affordable for anyone. 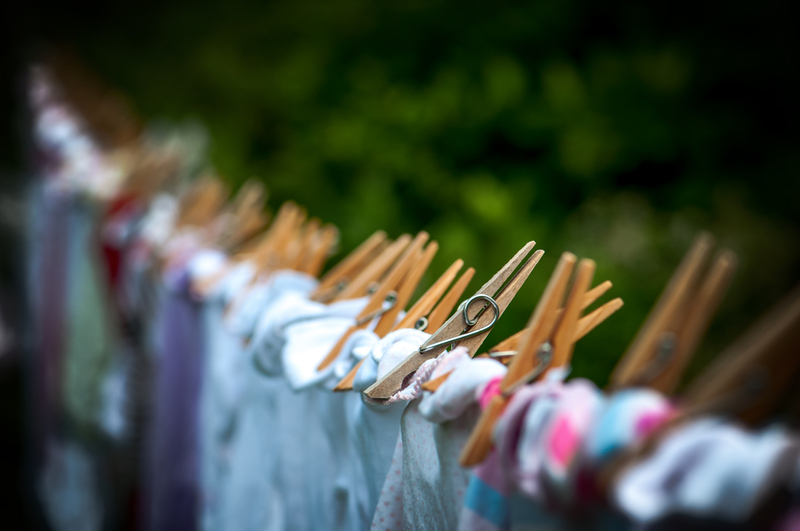 In this guide, we’re going to share with you some of their most popular products in this, our Hills washing lines buying guide. Hills Rotary Folding Washing Lines Rotary washing lines have always been a popular choice in the UK. They install easily in your lawn and, once situated, offer a rotating, fold-away washing line that can fit multiple loads of washing at the same time. Hills’ range of rotary washing lines includes the ‘basic’ Everyday 37 and Everyday 47 rotary washing lines which combine the high-quality that Hills are known for, with a slightly reduced specification to lower their overall cost. Elsewhere, you’ll find the Hills Rotary Folding 6 Washing Line, alongside 7 and 8 line models for increased capacity. Hills Retractable Washing Lines If you don’t have a lawn or simply don’t want a permanent structure to be erected on your lawn, a retractable clothesline can make a lot of sense. When retracted, these washing lines look like little more than a silver box mounted on your wall, however, when you pull the lines out, you gain an instant washing line. Hills offer two retractable washing lines, the Hills Everyday 4 Retractable Clothes Washing Line and the Hills Everyday 6 Retractable Clothes Washing Line, which differ only in the number of lines they offer. Hills Wall-Mounted Folding Washing Line If you lack the space for a rotary or retractable washing line, then Hills Supa Fold range could be just the ticket. These washing lines attach securely to an interior or exterior wall and, once in place, simply fold out to reveal instant drying space. Their range includes four models, with four different sizes. Whether it’s the Supa Fold Mini with 7m of line space, the Supa Fold Compact with 13m of line space, the Supa Fold Mono with 21m of line or the Supa Fold Duo with an incredible 23m of line space, there’s a wall-mounted folding washing line for you. Whether you think about it or not, there’s a huge amount of trust that you put in your builders. They’re capable of making or breaking your project and their lack of attention can cause not only hard to your project but also your house in general. 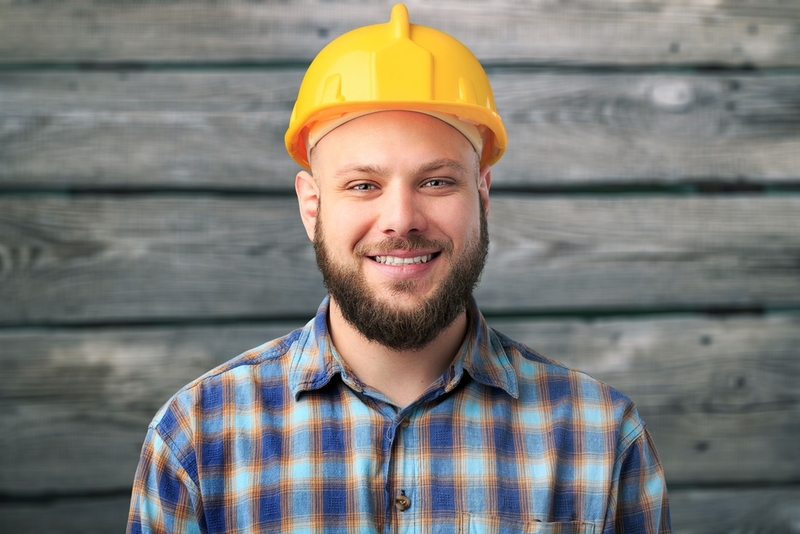 Now, cowboy builders are few and far between – after all, you don’t last long in that business without skill – but there remains a number of good reasons to interrogate your builders before you give them total control over your project. So, before your builder starts work, what are the five questions you should ask? What experience do you have? It might feel a touch rude to open up with such a direct question, but when you’re dealing with your home, it’s vital that you establish the credentials of the team that will be working on it. Your builder should be able to point to examples where they’ve worked on similar jobs before and should be able to provide you with references for those jobs. Furthermore, they should be fully licensed and accredited and should belong to a related trade association. Who is in charge of my project? Knowing with whom the buck stops is vital when you’re managing more than one builder at a time. Somebody has to be in charge of overseeing the work and ensuring it lives up to your standards. Your project manager will be the individual with who you speak with most often, so getting it straight who that is will serve you in good stead. Can we draft a schedule? As anyone who’s worked within (or even had any contact with) the construction trade knows, things don’t always go to plan on site. Delays in materials, illnesses, unexpected complications and dozens of other issues can all conspire to put things behind schedule. Nevertheless, failing to have a schedule isn’t advisable. By putting down on paper how long your team expect each stage on construction to take, you can better judge their efforts and, if necessary, take them to task. How will you protect my home? Construction work makes a lot of mess, so how will your team work to protect your home? Ask them and find out. If they’re working in the garden, how will they protect your landscaping? If they’re working in your kitchen, how will they protect your countertops and flooring? It’s always useful to establish these sorts of details ahead of them beginning construction. How often can we keep in contact? Most of the time when you’ve got builders working in your home, you won’t be there too. We’re all busy with work and so, largely, we leave builders to their own devices. For much of the week, you might not even cross paths! It’s why establishing a regular date for connection is important. Pick a day of the week where both you and the project lead can sit down and talk about the progress being made, any issues that have cropped up and what’s coming up next. It’ll help avoid any miscommunication issues and ease any tensions which might arise. When you’re working on a project – whether it’s a treehouse for the kids or a commercial project for a client, there’s no use in wasting time with the wrong tools. Forcing a square peg into a round hole is a recipe for going nowhere very slowly, but worse than that, using the wrong tools can prove extremely hazardous. That’s especially true when it comes to saws. They’ve been around for centuries in various forms, but today you’ll find there are more types of saw than ever before. Whether you’re tackling wood, metal or even ceramic, there’s a saw out there for the task. But which saw is right for you? 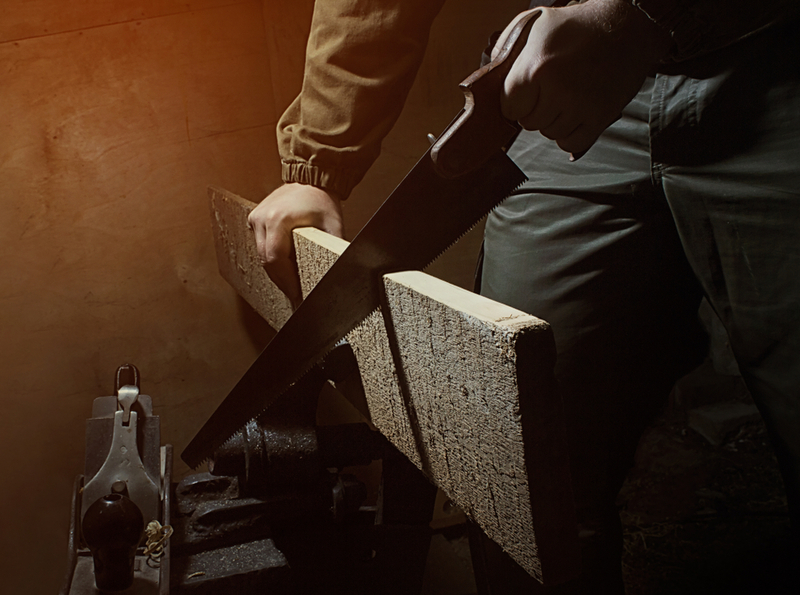 In this guide, we’re going to share with you the various types of saw and their uses. Let’s go. Handsaw Perhaps the most recognisable type of saw on earth. With a comfortable, easy to grip handle and a long serrated blade, handsaws are best used when you’re cutting planks of wood down to size or trimming branches on smaller trees. Hacksaw Taking the form of a metal c-frame and a fine-toothed blade, hacksaws are designed to offer a greater degree of control than a handsaw and are usually used for cutting plastics and metals. Coping Saw Similar in design to a hacksaw, albeit with a different handle shape, coping saws have a c-frame and interchangeable blades that can be used for either wood or metal. They’re most commonly used by artists and artisans thanks to the fine radiuses they’re capable of creating. Circular Saw This powerful tool comes in a couple of forms – worm drive and sidewinder. Worm drive saws have enough power to cut through wet lumber and concrete. Models with a sidewinder motor have less torque but weigh less too. Both types of circular saw feature a large, behind-the-blade handle which makes gripping and manoeuvring easy, whilst reducing kickback. Table Saw Far from portable, a table saw features a centrally located spinning circular blade which can be used for ripping, crosscutting, mitring, and bevelling, making them a very useful tool to have around the workshop. Jigsaw Whilst most saws are designed to cut in a straight line, a jigsaw is designed to cut in custom shapes. With a powerful motor, downwards facing blade and a handle designed to be held from above, a jigsaw gives you total control over the shape you’re cutting, regardless of whether it’s plywood or polycarbonate you’re tackling. Bandsaws Capable of cutting both metal and wood, bandsaws like our Silverline Electric Bandsaw make an excellent addition to any workshop. Standing upright and with a vertically aligned saw blade, they allow you to make quick, precise cuts easily. Mitre Saw Cutting precise angles with a saw is always something of a difficulty if you’re attempting to do so by hand, which is why the mitre saw is so important so for many people working with wood. Specially designed with a handle for lowering and raising the circular blade at fixed angles. Certain models allow you to set your own angles, making them an ideal option for trim work. Working on site in summer brings with it all sorts of complications. From the effects of high humidity on metal objects to the effects of high temperatures on our own ability to work, there are dozens of little ways that working in summer is harder. Keeping cool is important but keeping safe is most important of all. No matter what the conditions throw at you, it’s essential that you (and everyone on site) is equipped with the PPE that will keep them safe. Much of that equipment stays the same, no matter the season, but some should be replaced during the sunnier months in order to improve performance (and safety) One such piece of PPE is protective goggles and glasses. Essential for protecting eyesight when working on site, in summer your standard PPE spectacles simply aren’t up to the job of dealing with the sunshine. It’s why you need safety spectacles with UV protection built in, and thankfully, you’ll find countless models right here at MAD4TOOLS. Join us as we share with you everything you need to know. Why do you need UV protection for your eyes? UV (ultraviolet) light has been linked to all sorts of issues with our bodies, from sunburn to skin cancer, but it’s not just our skin which suffers from high UV levels, because our eyes do too. Extended exposure to the suns UV rays has been linked to numerous types of eye damage, including cataracts, pingueculae, macular degeneration, pterygia and photokeratitis that can cause temporary vision loss. Indeed, long-term exposure has been linked to severe macular degradation – something that we’re all keen to avoid UV rays are why we wear sunglasses when we’re out and about, but when we switch to our safety spectacles, we often skip out on this vital functionality. It’s why making sure that you have UV-protected safety spectacles is so important, and why we’re so proud to stock our range. Our UV-protected safety spectacles At MAD4TOOLS we’ve always striven to bring vital PPE to our customers, no matter the industry they work in. It’s why we have a huge range of eye protection in stock with built-in UV protection. Whether you require lab-style safety goggles with built-in UV protection like the Delta Plus GALERAS Goggles in clear or smoke or stylish, sunglasses-style safety glasses like the Delta Plus ASO Safety Specs, our range offers a little something for everyone. It’s not just the Delta Plus line which features built-in UV protection though, because Scruffs have also joined in the sun with a great range of safety spectacles which offer complete protection. Their range covers three styles – Eagle, Hawk and Falcon, but each boasts the same high level of protection. With an anti-fog coating alongside 100% UV protection, they make for a smart choice, whether you’re buying for yourself or kitting out the staff on site. All our UV-protected safety spectacles come with a no quibbles 30-day money back guarantee and enjoy superb discounts every single day. So, why wait? Invest today and protect your eyesight for decades to come. Summer is here and, well, I think we can all agree that it’s pretty warm out here. With temperatures regularly pushing 30 degrees across the country and many of us starting to feel the burn, we’re all seeking ways to beat the heat and get back to living and working in cool, dry comfort. There are countless ways to staying cool when the weather is hot, but when it comes to air conditioners, we’d be hard-pressed to recommend a superior brand for home use than Rhino. Who is Rhino? Rhino is a premium UK manufacturer of innovative heating, cooling and pumping solutions designed to meet the ever-changing demands of the UK climate. Their acclaimed range of heating, drying and cooling solutions are relied on throughout the year in both homes and on site. What separates Rhino from the rest though? Their total commitment to quality in each component, ensuring effective performance year after year in even the most challenging environments. Today though, it’s their air conditioner range that we’re interested in. Boasting advanced features and compact design, they’re suitable for any property. Let’s take a deeper dive into their features, shall we? Rhino H03607 Portable Air Conditioner 9,000Btu With the heat making everyday life difficult, it can be tough to know how to tackle it. Fans just move warm air around your home and air conditioners are static and can’t go with you from room to room. It’s why portable air conditioners are so popular, and the Rhino H03607 is a fine example. With discreet styling and a compact frame measuring H825 x W443 x D422mm, it’s suitable for even the most compact rooms. Its 9,000Btu output makes it suitable for up to 1,600 cubic feet of air conditioning in temperatures between 18-32 degrees. Its strength though is in its smart features, like the 3-speed fan, digital control panel, remote control and 24-hour timer, all of which make operating the Rhino H03607 a dream. Best of all? It comes complete with a one-year manufacturer warranty for complete peace of mind. Rhino H03608 Portable 4 in 1 Air Conditioner 12,000Btu When you need to cool a larger room, the Rhino h03608 is where you need to look. With a whopping 12,000Btu output, it’s capable of cooling up-to 3,200 cubic feet of air. That’s ideal for large spaces which otherwise might struggle to be cooled. Much like the Rhino H03607 it features all the advanced features you’d expect, but the Rhino H03608 goes one further by including 4 functions in a single machine. Rather than simply cooling your air, the Rhino H03608 has built-in fan functions and the ability to both heat air and pull moisture from the air (dehumidify). Those features position the Rhino H03608 are the ultimate all-in-one air treatment product for your home. Rated A for energy efficiency and with dimensions which measure just H825 x W443 x D422mm, there really is no finer option for the home or business user looking for a simple, elegant all-in-one solution. Time – it’s often said – waits for no man, but when it comes to power tools, the same holds true. Technology is always marching forwards, bringing us ever more capable, portable and usable electronic devices – be them computers, smartphones or even cars. But it’s not just luxurious electronics which benefit from improvements in technology, because our power tools do too. Oh, sure, they’re not getting 4K touchscreens, super-powerful processors or wireless capabilities any time soon, but they’re making important leaps forward which make upgrading a no-brainer. At MAD4TOOLS, we’ve always taken great pride in bringing the latest in power tool technology to our customers. If it’s innovative, exciting and – crucially – better than what came before it, then you can bet we’ll stock it. But what are the big advancements of recent years which you can take advantage of today? Let’s take a look. Bigger, more powerful batteries You only need to look at the world around you to realise why improvements to battery technology are at the forefront of the tech industries attention. From our smartphones to our laptops and, increasingly, our cars and public transport, the demand for more powerful batteries with more capacity is clear. In recent years, that’s led to consumer-level battery packs which run for longer and provide a higher voltage too. That’s meant exciting, totally cordless products like the CEL POWER8 Cordless Workshop Pro Kit, which runs off a single battery pack to create a portable workstation anywhere you need it with 8 ultra-powerful and versatile tools. These new batteries are also being used to power tools which, previously, were either powered by petrol or a direct mains source. The Hyundai HYC36Li 36v Lithium-Ion Battery Powered Chainsaw, for example, provides the full power of a traditionally powered chainsaw with the green-credentials and portability of battery power. Smarter accessories Power tools are about getting a job done quickly and efficiently, but it’s the accessories which often help us improve our performance most drastically. Recent years have seen a refocusing on accessories from manufacturers as they look to improve the performance of their products and boost satisfaction rates amongst customers. It’s led to vital products like the Rockler Lathe Dust Collection System Attachment, which effortlessly collects dust and shavings from spindle turning projects, letting you focus on the work and not the mess being created. Lighter, strong and more ergonomic designs The utility of a power tool is determined by more than its mere power output. After all, what use is a power tool which can do the job, but can’t be held comfortably for long periods of time? It’s why power tool manufacturers have poured significant effort into making their latest generation of tools lighter, stronger and more ergonomic than ever before. This new generation of tools is carefully designed to fit perfectly within your hand, flow with your natural movement and reduce the risk of HAVS (hand-arm vibration syndrome) by reducing harmful vibrations. They’re significant innovations which mean that you can use your tools for longer, with greater control and to a higher level of safety. When the weather starts heating up, we’re all guilty of doing some pretty crazy things to keep cool. Whether it’s breaking out the industrial cooling fan for a brief respite from the heat or giving up those piping hot cups of tea and coffee, we’re all guilty of going a little barmy in the balmy weather. But short of trying to get the ice bucket challenge back off the ground, what can you do to keep cool? The answer, you change the clothes that you wear. Now, if you’re still wearing a heavy winter coat in summer, you need more help than a simple article can offer you. What you are likely still wearing, however, are your work trousers. Humble, hardwearing and loaded with features which make our jobs that much easier, they’re an essential part of your workwear throughout most of the year. The reason why so many of us choose to continue wearing them through the hottest days of the year is simple, shorts don’t offer the versatility, protection and storage that trousers do. Right? Well, actually, that’s not the case. At least, not with our stunning range of work shorts. Here are three huge reasons why you should invest in work shorts this summer: Full functionality If you’re holding off on making the switch to shorts this summer because you’re afraid of losing the functionality that your work trousers offer you, then don’t fret, because we’ve got the products for you. Scruffs Trade Work Trousers with Multiple Pockets bring not only style and comfort in the heat but feature many of the same pockets which prove essential in your work trousers. With a holster pocket, rule pocket, mobile phone pocket and cargo pocket built in, you can keep your productivity up, no matter how hot the weather gets. You don’t even need to worry about issues like tearing either, thanks to Scruff’s Ripstop Shorts with Ripstop technology which keeps your shorts (and legs) from damage. Superior comfort There’s a reason why, when the heat gets too much, so many of us whip our tops off, and it’s not because of our stunning physiques. It’s because when skin meets the breeze, we cool down rapidly. That’s why shorts make such a smart investment in summer. They increase the circulation of air across the bottom half of our body, helping to lower overall body temperature and, in turn, help us deal with the heat. Of course, we don’t need to tell you that though, just as we don’t need to explain why shorts are so comfortable. Greater movement Work trousers might offer great protection, but that often comes at the cost of mobility and movement. Work shorts, like Scruffs Worker Lite Shorts, keep the multi-pocket design which makes them ideal for work but feature extra-light fabric which makes them ultra-comfortable to wear and offer a greater range of movement than traditional work trousers. It’s just another way that shorts improve site or DIY work during the hot summer months. Every foreman has a duty of care over the staff which work underneath them. In practice, that means ensuring that your staff are properly trained and qualified, are kitted out with their required PPE (personal protection equipment) and that you inspect the site carefully to ensure that safety is being upheld and risks are mitigated at all times. It’s a complex job but one which, ultimately, will help protect the safety and well-being of your team – something that you really can’t put a price on. But what questions do you typically find on a foreman’s checklist? In this article, we’re going to share with you the questions you’re most likely to encounter on your checklist. They are: Is personal protection equipment required at this site, and if yes, have you supplied it? Personal protection equipment includes things like hard hats, boots, hearing protection, eye protection and respiratory protection. Your checklist will ask whether you require them on your site and whether you’ve supplied them. Are ladders present at your site, and if yes, are they being used correctly? Ladders on site can prove a significant threat if not handled correctly. They need a firm footing, to be free from obvious defects, extend more than 3 feet above support and more in order to be considered safe. Are scaffolds present at your site, and if yes, are they safe and secure? Scaffold towers on site pose a safety risk, so ensure that fall protection is included if your tower is above 10ft, they’re set up on a level, stable footing and the platform is appropriate for the width of scaffold you’re using. Is fall protection needed at your site, and if yes, is it being used correctly? Your checklist will ask you if you need fall protection and pose questions regarding your use of harnesses, guardrails and slide guards. Are machine hazards present at your site, and if yes, is the risk being mitigated? Have your workers been trained on the use of power tools, do they have the relevant PPE, are tiles and concrete being cut with the wet method? These questions and more will be asked by your checklist. Are there potential heat stress issues at your site, and if yes, are you dealing with them? Your checklist will prompt you on worker training for heat-related illnesses and breaks for water and rest. Are there lead paint hazards on site, and if yes, are they being mitigated? Have your workers been trained in handling lead dust? Is the work area properly contained? Are electrical hazards present, and if yes, are they being mitigated? Your checklist will quiz you on whether all electrical sources are identified, de-energized and locked out or tagged out. You’ll also be asked whether you’ve identified all power lines and made efforts to avoid them and whether your ladders, scaffolds, equipment and materials are more than 10 meters away from power lines. Are excavations present on site, and if yes, have you mitigated the risks? Checklists typically prompt you on whether soil and conditions have been checked each day, whether you’re providing ladders for excavations deeper than 4ft and whether shoring, shielding and inclination are required for excavations deeper than 5ft. I’m sure we don’t need to tell you, but it’s pretty hot out there. In fact, it’s one of the hottest summers ever with long stretches of heat, gorgeous sunshine and scarcely a cloud in the sky. It’s made working in good old Blighty feel more like working in Brazil, and, frankly, it’s tough to complain about that. The hot weather does come with its drawbacks though – and we’re not just talking about the odour coming from your colleagues. No, because good weather brings with it increased chance of skin cancer, blistering and other nasty, dangerous side effects. Cancer isn’t an outside chance, either, with research finding that in Britain alone there are 241 cases of melanoma skin cancer caused by working outside every year. On average, that results in 48 tragic deaths every year. That’s why it’s so important to take care when you’re working on site in the heat. Here are our top tips for protecting yourself when you’re working in the heat: Stock up on sun-cream: Look, we know that nobody likes wearing it and, yes, it’s a total bugger to put on yourself, but sun-cream is absolutely essential to ensuring your health whilst you’re in the sun. By blocking the suns UV rays, it drastically reduces your chances of getting skin cancer. Oh, and it’ll stop the sunburn too. Result! Wear the right headgear: Summer is particularly dangerous because, when the weather heats up, we’re all inclined to do what it takes to cool down. Sometimes, that even means casting off our PPE in an effort to beat the heat. That includes out headgear which has a habit of keeping heat in, rather than off of It’s why we recommend something like the Delta Plus Diamond V Safety Bump Hard Hat, which features a baseball-cap style peak which helps keep the sun off your face whilst you work, keeping you cool and safe at the same time. Stay in the shade where possible: Hot days are hot days and, ultimately, there’s little you can do about that. However, it’s always just that much worse when you’re in the blazing So, where possible, try to stick to the shade. Whether that’s completing a job inside rather than outside or simply adjusting your position as the sun moves through the sky. Stay hydrated: Hot weather and physical activity mean one thing: exhaustion. Oh, and sweat. Lots of sweat. That’s why it’s vital that you keep a bottle of water on the go at all times. Very few of us are drinking enough water as it is, let alone in the hot weather. It’s recommended that you drink at least 3.7 litres of water a day. Doing so will ensure you stay alert, active and healthy in the sun. Wear appropriate clothing: Warmer weather means fewer clothes, right? Wrong! In hot weather, it’s important to make sure that you’re wearing the right workwear for the job. Look for light, breathable clothing which covers as much of your body as possible, as this will help you stay cool and protect your skin.